For a specific analysis of the population of Mexico, see Demographics of Mexico. For a more precise analysis on the nationality and identity of Mexico, see Mexican nationality law. "Mexicanos" redirects here. For the suburb of San Salvador, El Salvador, see Mejicanos. Note B: This is the number of Mexicans by birth in Canada, including ancestry the enlarged Mexican-Canadian community was recorded to be 97,055 in 2011. Mexicans (Spanish: mexicanos) are the people of the United Mexican States, a multiethnic country in North America. The modern nation of Mexico achieved independence from the Spanish Empire; this began the process of forging a national identity that fused the cultural traits of indigenous pre-Columbian origin with those of European, particularly Iberian, ancestry. This led to what has been termed "a peculiar form of multi-ethnic nationalism". The most spoken language by Mexicans is Mexican Spanish, but some may also speak languages from 68 different indigenous linguistic groups and other languages brought to Mexico by recent immigration or learned by Mexican immigrants residing in other nations. In 2015, 21.5% of Mexico's population self-identified as being Indigenous or partially Indigenous. There are about 12 million Mexican nationals residing outside Mexico, with about 11.7 million living in the United States. The larger Mexican diaspora can also include individuals that trace ancestry to Mexico and self-identify as Mexican. The Mexican people have varied origins and an identity that has evolved with the succession of conquests among Amerindian groups and later by Europeans. The area that is now modern-day Mexico has cradled many predecessor civilizations, going back as far as the Olmec which influenced the latter civilizations of Teotihuacan (200 B.C. to 700 A.D.) and the much debated Toltec people who flourished around the 10th and 12th centuries A.D., and ending with the last great indigenous civilization before the Spanish Conquest, the Aztecs (13 March 1325 to 13 August 1521). The Nahuatl language was a common tongue in the region of modern Central Mexico during the Aztec Empire, but after the arrival of Europeans the common language of the region became Spanish. 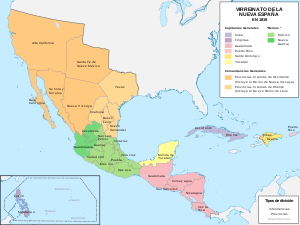 After the conquest of the Aztec empire, the Spanish re-administered the land and expanded their own empire beyond the former boundaries of the Aztec, adding more territory to the Mexican sphere of influence which remained under the Spanish Crown for 300 years. Cultural diffusion and intermixing among the Amerindian populations with the European created the modern Mexican identity which is a mixture of regional indigenous and European cultures that evolved into a national culture during the Spanish period. This new identity was defined as "Mexican" shortly after the Mexican War of Independence and was more invigorated and developed after the Mexican Revolution when the Constitution of 1917 officially established Mexico as an indivisible pluricultural nation founded on its indigenous roots. Mexicano (Mexican) is derived from the word Mexico itself. In the principal model to create demonyms in Spanish, the suffix -ano is added to the name of the place of origin. It has been suggested that the name of the country is derived from Mextli or Mēxihtli, a secret name for the god of war and patron of the Mexicas, Huitzilopochtli, in which case Mēxihco means "Place where Huitzilopochtli lives". Another hypothesis suggests that Mēxihco derives from the Nahuatl words for "Moon" (Mētztli) and navel (xīctli). This meaning ("Place at the Center of the Moon") might then refer to Tenochtitlan's position in the middle of Lake Texcoco. The system of interconnected lakes, of which Texcoco formed the center, had the form of a rabbit, which the Mesoamericans pareidolically associated with the Moon. Still another hypothesis suggests that it is derived from Mēctli, the goddess of maguey. President Porfirio Díaz was of Mestizo descent. A large majority of Mexicans have been classified as "Mestizos", meaning in modern Mexican usage that they identify fully neither with any indigenous culture nor with a Spanish cultural heritage, but rather identify as having cultural traits incorporating elements from indigenous and Spanish traditions. By the deliberate efforts of post-revolutionary governments the "Mestizo identity" was constructed as the base of the modern Mexican national identity, through a process of cultural synthesis referred to as mestizaje [mestiˈsahe]. Mexican politicians and reformers such as José Vasconcelos and Manuel Gamio were instrumental in building a Mexican national identity on the concept of mestizaje. Since the Mestizo identity promoted by the government is more of a cultural identity than a biological one it has achieved a strong influence in the country, with a good number of biologically white people identifying with it, leading to being considered Mestizos in Mexico's demographic investigations and censuses due the ethnic criteria having its base on cultural traits rather than biological ones. A similar situation occurs regarding the distinctions between Indigenous peoples and Mestizos: while the term Mestizo is sometimes used in English with the meaning of a person with mixed indigenous and European blood, this usage does not conform to the Mexican social reality where a person of pure Indigenous genetic heritage would be considered Mestizo either by rejecting his indigenous culture or by not speaking an indigenous language, and a person with none or a very low percentage of indigenous genetic heritage would be considered fully indigenous either by speaking an indigenous language or by identifying with a particular indigenous cultural heritage. In the Yucatán peninsula the word Mestizo has a different meaning, with it being to refer to the Maya-speaking populations living in traditional communities, because during the caste war of the late 19th century those Maya who did not join the rebellion were classified as Mestizos. In Chiapas the word "Ladino" is used instead of mestizo. An 18th-century casta painting shows an indigenous woman with her Spanish husband and their Mestizo child. Cultural policies in early post-revolutionary Mexico were paternalistic towards the indigenous people, with efforts designed to "help" indigenous peoples achieve the same level of progress as the rest of society, eventually assimilating indigenous peoples completely to Mestizo Mexican culture, working toward the goal of eventually solving the "Indian problem" by transforming indigenous communities into Mestizo communities. Given that the word Mestizo has different meanings in Mexico, estimates of the Mexican Mestizo population vary widely. According to the Encyclopædia Britannica, which uses a biology-based approach, between one half and two thirds of the Mexican population is Mestizo. A culture-based estimate gives the percentage of Mestizos as high as 90%. Paradoxically, the word Mestizo has long been dropped from popular Mexican vocabulary, with the word even having pejorative connotations, which further complicates attempts to quantify Mestizos via self-identification. European Mexicans are Mexican citizens of full or majoritarily European descent. Europeans began arriving in Mexico during the Spanish conquest of the Aztec Empire; and while during the colonial period most European immigration was Spanish, in the 19th and 20th centuries European and European-derived populations from North and South America did immigrate to the country. According to 20th and 21st century academics, large scale intermixing between the European immigrants and the native Indigenous peoples would produce a Mestizo group which would become the overwhelming majority of Mexico's population by the time of Independence. However, according to church registers from the colonial times, the majority (73%) of Spanish men married with Spanish women. Said registers also put in question other narratives held by contemporary academics, such as European immigrants who arrived to Mexico being almost exclusively men or that "pure Spanish" people were all part of a small powerful elite, as Spaniards were often the most numerous ethnic group in the colonial cities and there were menial workers and people in poverty who were of complete Spanish origin. Estimates of Mexico's white population differ greatly in both, methodology and percentages given, extra-official sources such as the World factbook and Encyclopædia Britannica, which use the 1921 census results as the base of their estimations calculate Mexico's White population as only 9% or between one tenth to one fifth (the results of the 1921 census, however, have been contested by various historians and deemed inaccurate). Surveys that account for phenotypical traits and have performed actual field research suggest rather higher percentages: using the presence of blond hair as reference to classify a Mexican as white, the Metropolitan Autonomous University of Mexico calculated the percentage of said ethnic group at 23%. With a similar methodology, the American Sociological Association obtained a percentage of 18.8% having its higher frequency on the North region (22.3%–23.9%) followed by the Center region (18.4%–21.3%) and the South region (11.9%). Another study made by the University College London in collaboration with Mexico's National Institute of Anthropology and History found that the frequencies of blond hair and light eyes in Mexicans are of 18% and 28% respectively, surveys that use as reference skin color such as those made by Mexico's National Council to Prevent Discrimination and Mexico's National Institute of Statistics and Geography reported a percentages of 47% in 2010 and 49% in 2017 respectively. Another survey published in 2018 reported a percentage significativelly lower at 29%, this time however, the surveying of Mexicans from "vulnerable groups" was prioritized, which among other measures meant that states known to have high numbers of people from said groups surveyed more people. Mexico's northern and western regions have the highest percentages of European population, with the majority of the people not having native admixture or being of predominantly European ancestry, resembling in aspect that of northern Spaniards. In the north and west of Mexico, the indigenous tribes were substantially smaller than those found in central and southern Mexico, and also much less organized, thus they remained isolated from the rest of the population or even in some cases were hostile towards Mexican colonists. The northeast region, in which the indigenous population was eliminated by early European settlers, became the region with the highest proportion of whites during the Spanish colonial period. However, recent immigrants from southern Mexico have been changing, to some degree, its demographic trends. The White population of central Mexico, despite not being as numerous as in the north due to higher mixing, is ethnically more diverse, as there are large numbers of other European and Middle Eastern ethnic groups, aside from Spaniards. This also results in non-Iberian surnames (mostly French, German, Italian and Arab) being more common in central Mexico, especially in the country's capital and in the state of Jalisco. The 2003 General Law of Linguistic Rights of the Indigenous Peoples recognizes 62 indigenous languages as "national languages" which have the same validity as Spanish in all territories in which they are spoken. The recognition of indigenous languages and the protection of indigenous cultures is granted not only to the ethnic groups indigenous to modern-day Mexican territory, but also to other North American indigenous groups that migrated to Mexico from the United States in the nineteenth century and those who immigrated from Guatemala in the 1980s. The category of "indigena" (indigenous) in Mexico has been defined based on different criteria through history, this means that the percentage of the Mexican population defined as "indigenous" varies according to the definition applied. It can be defined narrowly according to linguistic criteria including only persons that speak an indigenous language, based on this criteria approximately 5.4% of the population is Indigenous. Nonetheless, activists for the rights of indigenous peoples have referred to the usage of this criteria for census purposes as "statistical genocide"
Other surveys made by the Mexican government do count as Indigenous all persons who speak an indigenous language and people who do not speak indigenous languages nor live in indigenous communities but self-identifies as Indigenous. According to this criteria, the National Commission for the Development of Indigenous Peoples (Comisión Nacional para el Desarrollo de los Pueblos Indígenas, or CDI in Spanish) and the INEGI (Mexico's National Institute of Statistics and Geography), state that there are 15.7 million indigenous people in Mexico of many different ethnic groups, which constitute 14.9% of the population in the country. According to the latest intercensal survey carried out by the Mexican government in 2015, Indigenous people make up 21.5% of Mexico's population. In this occasion, people who self-identified as "Indigenous" and people who self-identified as "partially Indigenous" were classified in the "Indigenous" category altogether. The absolute indigenous population is growing, but at a slower rate than the rest of the population so that the percentage of indigenous peoples is nonetheless falling. The majority of the indigenous population is concentrated in the central-southern and south-eastern states, with the majority of the indigenous population living in rural areas. Some indigenous communities have a degree of autonomy under the legislation of "usos y costumbres", which allows them to regulate some internal issues under customary law. According to the CDI, the states with the greatest percentage of indigenous population are Yucatán, with 62.7%, Quintana Roo with 33.8% and Campeche with 32% of the population being indigenous, most of them Maya; Oaxaca with 58% of the population, the most numerous groups being the Mixtec and Zapotec peoples; Chiapas has 32.7%, the majority being Tzeltal and Tzotzil Maya; Hidalgo with 30.1%, the majority being Otomi; Puebla with 25.2%, and Guerrero with 22.6%, mostly Nahua people and the states of San Luis Potosí and Veracruz both home to a population of 19% indigenous people, mostly from the Totonac, Nahua and Teenek (Huastec) groups. Carlos Slim is of Lebanese descent. An Arab Mexican is a Mexican citizen of Arabic-speaking origin who can be of various ancestral origins. The vast majority of Mexico's 1.1 million Arabs are from either Lebanese, Syrian, Iraqi, or Palestinian background. The interethnic marriage in the Arab community, regardless of religious affiliation, is very high; most community members have only one parent who has Arab ethnicity. As a result of this, the Arab community in Mexico shows marked language shift away from Arabic. Only a few speak any Arabic, and such knowledge is often limited to a few basic words. Instead the majority, especially those of younger generations, speak Spanish as a first language. Today, the most common Arabic surnames in Mexico include Nader, Hayek, Ali, Haddad, Nasser, Malik, Abed, Mansoor, Harb and Elias. Arab immigration to Mexico started in the 19th and early 20th centuries. Roughly 100,000 Arabic-speakers settled in Mexico during this time period. They came mostly from Lebanon, Syria, Palestine, and Iraq and settled in significant numbers in Nayarit, Puebla, Mexico City and the Northern part of the country (mainly in the states of Baja California, Tamaulipas, Nuevo Leon, Sinaloa, Chihuahua, Coahuila, and Durango, as well as the city of Tampico and Guadalajara. The term "Arab Mexican" may include ethnic groups that do not in fact identify as Arab. During the Israel-Lebanon war in 1948 and during the Six-Day War, thousands of Lebanese left Lebanon and went to Mexico. They first arrived in Veracruz. Although Arabs made up less than 5% of the total immigrant population in Mexico during the 1930s, they constituted half of the immigrant economic activity. Immigration of Arabs in Mexico has influenced Mexican culture, in particular food, where they have introduced Kibbeh, Tabbouleh and even created recipes such as Tacos Árabes. By 1765, Dates, which originated from the Middle East, were introduced into Mexico by the Spaniards. The fusion between Arab and Mexican food has highly influenced the Yucatecan cuisine. Another concentration of Arab-Mexicans is in Baja California facing the U.S.-Mexican border, esp. in cities of Mexicali in the Imperial Valley U.S./Mexico, and Tijuana across from San Diego with a large Arab American community (about 280,000), some of whose families have relatives in Mexico. 45% of Arab Mexicans are of Lebanese descent. The majority of Arab-Mexicans are Christians who belong to the Maronite Church, Roman Catholic, Eastern Orthodox and Eastern Rite Catholic Churches. A scant number are Muslims and Jews of Middle Eastern origins. Afro-Mexicans are an ethnic group that predominate in certain areas of Mexico. Such as the Costa Chica of Oaxaca and the Costa Chica of Guerrero, Veracruz (e.g. Yanga) and in some towns in northern Mexico. The existence of blacks in Mexico is unknown, denied or diminished in both Mexico and abroad for a number of reasons: their small numbers, heavy intermarriage with other ethnic groups and Mexico's tradition of defining itself as a "mestizaje" or mixing of European and indigenous. Mexico did have an active slave trade since the early Spanish period but from the beginning, intermarriage and mixed race offspring created an elaborate caste system. This system broke down in the very late Spanish period and after Independence the legal notion of race was eliminated. The creation of a national Mexican identity, especially after the Mexican Revolution, emphasized Mexico's indigenous and European past actively or passively eliminating its African one from popular consciousness. The majority of Mexico's native Afro-descendants are Afromestizos, i.e. "mixed-race". Individuals with significantly high amounts of African ancestry make up a very low percentage of the total Mexican population, the majority being recent black immigrants from Africa, the Caribbean and elsewhere in the Americas. According to the Intercensal survey carried out by the Mexican government, Afro-Mexicans make up 1.2% of Mexico's population, the Afro-Mexican category in the Intercensal survey includes people who self-identified solely as African and people who self-identified as partially African. The survey also states that 64.9% (896,829) of Afro-Mexicans also identified as indigenous, with 9.3% being speakers of indigenous languages. Asian Mexicans make up less than 1% of the total population of modern Mexico, nonetheless they are a notable minority. Due to the historical and contemporary perception in Mexican society of what constitutes Asian culture (associated with the Far East rather than the Near East), Asian Mexicans are of East, South and Southeast Asian descent and Mexicans of West Asian descent are not considered to be part of the group. Asian immigration began with the arrival of Filipinos to Mexico during the Spanish period. For two and a half centuries, between 1565 and 1815, many Filipinos and Mexicans sailed to and from Mexico and the Philippines as sailors, crews, slaves, prisoners, adventurers and soldiers in the Manila-Acapulco Galleon assisting Spain in its trade between Asia and the Americas. Also on these voyages, thousands of Asian individuals (mostly males) were brought to Mexico as slaves and were called "Chino", which meant Chinese. Although in reality they were of diverse origins, including Japanese, Koreans, Malays, Filipinos, Javanese, Cambodians, Timorese, and people from Bengal, India, Ceylon, Makassar, Tidore, Terenate, and China. A notable example is the story of Catarina de San Juan (Mirra), an Indian girl captured by the Portuguese and sold into slavery in Manila. She arrived in New Spain and eventually she gave rise to the "China Poblana". These early individuals are not very apparent in modern Mexico for two main reasons: the widespread mestizaje of Mexico during the Spanish period and the common practice of Chino slaves to "pass" as Indios (the indigenous people of Mexico) in order to attain freedom. As had occurred with a large portion of Mexico's black population, over generations the Asian populace was absorbed into the general Mestizo population. Facilitating this miscegenation was the assimilation of Asians into the indigenous population. The indigenous people were legally protected from chattel slavery, and by being recognized as part of this group, Asian slaves could claim they were wrongly enslaved. Asians, predominantly Chinese, became Mexico's fastest-growing immigrant group from the 1880s to the 1920s, exploding from about 1,500 in 1895 to more than 20,000 in 1910. Ethnic relations in modern Mexico have grown out of the historical context of the arrival of Europeans, the subsequent Spanish period of cultural and genetic miscegenation within the frame work of the castas system, the revolutionary periods focus on incorporating all ethnic and racial group into a common Mexican national identity and the indigenous revival of the late 20th century. The resulting picture has been called "a peculiar form of multi-ethnic nationalism". Very generally speaking ethnic relations can be arranged on an axis between the two extremes of European and Amerindian cultural heritage, this is a remnant of the Spanish caste system which categorized individuals according to their perceived level of biological mixture between the two groups. Additionally the presence of considerable portions of the population with partly African and Asian heritage further complicates the situation. Even though it still arranges persons along the line between indigenous and European, in practice the classificatory system is no longer biologically based, but rather mixes socio-cultural traits with phenotypical traits, and classification is largely fluid, allowing individuals to move between categories and define their ethnic and racial identities situationally. Historically, population studies and censuses have never been up to the standards that a population as diverse and numerous such as Mexico's require. The first racial census was made in 1793, being also Mexico's (then known as New Spain) first ever nationwide population census. Of it, only part of the original datasets survive. Thus most of what is known of it comes from essays made by researchers who used the census' findings as reference for their own works. More than a century would pass until the Mexican government conducted a new racial census in 1921 (some sources assert that the census of 1895 included a comprehensive racial classification, however according to the historic archives of Mexico's National Institute of Statistics that was not the case). While the 1921 census was the last time the Mexican government conducted a census that included a comprehensive racial classification, in recent time it has conducted nationwide surveys to quantify most of the ethnic groups who inhabit the country as well as the social dynamics and inequalities between them. Also known as the "Revillagigedo census" due to its creation being ordered by the Count of the same name, this census was Mexico's (then known as the Viceroyalty of New Spain) first ever nationwide population census. Most of its original datasets have reportedly been lost, thus most of what is now known about it comes from essays and field investigations made by academics who had access to the census data and used it as reference for their works such as Prussian geographer Alexander von Humboldt. Each author gives different estimations for each racial group in the country although they don't vary much, with Europeans ranging from 18% to 22% of New Spain's population, Mestizos ranging from 21% to 25%, Indians ranging from 51% to 61% and Africans being between 6,000 and 10,000, The estimations given for the total population range from 3,799,561 to 6,122,354. It is concluded then, that across nearly three centuries of colonization, the population growth trends of whites and mestizos were even, while the total percentage of the indigenous population decreased at a rate of 13%-17% per century. The authors assert that rather than whites and mestizos having higher birthrates, the reason for the indigenous population's numbers decreasing lies on them suffering of higher mortality rates, due living in remote locations rather than on cities and towns founded by the Spanish colonists or being at war with them. It is also for these reasons that the number of Indigenous Mexicans presents the greater variation range between publications, as in cases their numbers in a given location were estimated rather than counted, leading to possible overestimations in some provinces and possible underestimations in others. Regardless of the possible imprecisions related to the counting of Indigenous peoples living outside the colonized areas, the effort that New Spain's authorities put on considering them as subjects is worth mentioning, as censuses made by other colonial or post-colonial countries did not consider American Indians to be citizens/subjects, as example the censuses made by the Viceroyalty of the Río de la Plata would only count the inhabitants of the colonized settlements. Other example would be the censuses made by the United States, that did not include Indigenous peoples living among the general population until 1860, and indigenous peoples as a whole until 1900. Made right after the consummation of the Mexican revolution, the social context on which this census was made makes it particularly unique, as the government of the time was in the process of rebuilding the country and was looking forward to unite all Mexicans under a single national identity. The 1921 census' final results in regards to race, which assert that 59.3% of the Mexican population self-identified as Mestizo, 29.1% as Indigenous and only 9.8% as White were then essential to cement the "mestizaje" ideology (that asserts that the Mexican population as a whole is product of the admixture of all races) which shaped Mexican identity and culture through the 20th century and remain prominent nowadays, with extraofficial international publications such as The World Factbook and Encyclopædia Britannica using them as a reference to estimate Mexico's racial composition up to this day. When the 1921 census' results are compared with the results of Mexico's recent censuses as well as with modern genetic research, high consistence is found in regards to the distribution of Indigenous Mexicans across the country, with states located in south and south-eastern Mexico having both, the highest percentages of population that self-identifies as Indigenous and the highest percentages of Amerindian genetic ancestry. However this is not the case when it comes to European Mexicans, as there are instances on which states that have been shown to have a considerably high European ancestry per scientific research are reported to have very small white populations in the 1921 census, with the most extreme case being that of the state of Durango, where the aforementioned census asserts that only 0.01% of the state's population (33 persons) self-identified as "white" while modern scientific research shows that the population of Durango has similar genetic frequences to those found on European peoples (with the state's Indigenous population showing almost no foreign admixture either). Various authors theorize that the reason for these inconsistencies may lie in the Mestizo identity promoted by the Mexican government, which reportedly led to people who are not biologically Mestizos to identify as such. The following table is a compilation of (when possible) official nationwide surveys conducted by the Mexican government who have attempted to quantify different Mexican ethnic groups. Given that for the most part each ethnic group was estimated by different surveys, with different methodologies and years apart rather than on a single comprehensive racial census, some groups could overlap with others and be overestimated or underestimated. Of all the ethnic groups that have been surveyed Mestizos are notably absent, which is likely due to the label's fluid and subjective definition, which complicates its precise quantification. However, it can be safely assumed that Mestizos make up at least the remaining 30% unassessed percentage of Mexico's population with possibilities of increasing if the methodologies of the extant surveys are considered. As example the 2015 intercensal survey considered as Indigenous Mexicans and Afro-Mexicans altogether individuals who self-identified as "part Indigenous" or "part African" thus, said people technically would be Mestizos. Similarly, White Mexicans were quantified based on physical traits/appearance, thus technically a Mestizo with a percentage of Indigenous ancestry that was low enough to not affect his/her primarily European phenotype was considered to be white. Finally, the remaining ethnicities, for being of a rather low number or being faiths have more permissive classification criteria, therefore a Mestizo could claim to belong to one of them by practicing the faith, or by having an ancestor who belonged to said ethnicities. Nonetheless, contemporary sociologists and historians agree that, given that the concept of "race" has a psychological foundation rather than a biological one and to society's eyes a Mestizo with a high percentage of European ancestry is considered "white" and a Mestizo with a high percentage of Indigenous ancestry is considered "Indian", a person that identifies with a given ethnic group should be allowed to, even if biologically he doesn't completely belong to that group. The Mexican mestizo population is the most diverse of all the mestizo groups of Hispanic America, with its mestizos being either largely European or Amerindian rather than having a uniform admixture. Regional Variation of ancestry according to a study made by Ruiz-Linares in 2014, each dot represents a volunteer, with most coming from south Mexico and Mexico City. Trivate for ancestry, from the same study as the image above (Ruiz-Linares in 2014). Genetic studies in Mexico can be divided on three groups: studies made on self-identified Mestizos, studies made on Indigenous peoples and studies made on the general Mexican population, studies that focus on Eurodescendant Mexicans or Afro-Mexicans have not been made. Mexicans who self-identify as Mestizos are primarily of European and Native American ancestry. The third largest component is African, a legacy of the slavery in New Spain (which saw the importation of some 100,000 to 200,000 black slaves). However, geneticists theorize that in regions of Mexico that did not have any presence of slaves, traces of African ancestry might have come from Spanish colonists and not African slaves themselves, as said ancestry is of North African and Near East origin. Depending on the region, some may have small traces of Asian admixture due the thousands of Filipinos and Chinos (Asian slaves of diverse origin, not just Chinese) that arrived on the Nao de China. More recent Asian immigration (specifically Chinese) may help explain the comparatively high Asian contribution in Northwest Mexico (i.e., Sonora). According to numerous studies, on average, the largest genetic component of Mexicans who self-identify as being Mestizos is indigenous; although the difference in incidence between the indigenous and European composites is relatively small, both representing well over 40% of the genetic composition of mestizos. In studies made on the general Mexican population (this is, studies where there is no other kind of self-identification than that of being "Mexican") the European ancestral genetic component tends to overtake the indigenous composite. Said increase is the most pronounced on research done on chromosomal maternal ancestry, as while in studies made on self identified Mestizos the European maternal ancestry is as low as only 5%, on studies done on the general Mexican population the European maternal ancestry increases more than 40 points, with it being 46%, suggesting that nowadays a considerable segment of Mexico's population is left out when a study uses as samples only people who think of themselves as being Mestizos. Genetic studies made on indigenous Mexicans reveal a predominant indigenous ancestry but with higher than expected variations on European and African ancestral components. Extant research suggests that geographic location plays a more significative role on determining the genetic makeup of the average Indigenous person than cultural traits do, an example of this is the indigenous population of Tlapa in the state of Guerrero that despite for the most part speaking Spanish and having the same cultural customs non-indigenous Mexicans have, shows an indigenous ancestry of 95%. In contrast, Nahua-speaking Indigenous peoples from the state of Veracruz have a mean European ancestry of 42% and an African ancestry of 22%. The Mestizaje ideology, which has blurred the lines of race at an institutional level has also had a significative influence in genetic studies done in Mexico: As the criteria used in studies to determine if a Mexican is Mestizo or indigenous often lies in cultural traits such as the language spoken instead of racial self-identification or a phenotype-based selection there are studies on which populations who are considered to be Indigenous per virtue of the language spoken show a higher degree of European genetic admixture than the one populations considered to be Mestizo report in other studies. The opposite also happens, as there instances on which populations considered to be Mestizo show genetic frequencies very similar to continental European peoples in the case of Mestizos from the state of Durango or to European derived Americans in the case of Mestizos from the state of Jalisco. A 2006 study conducted by Mexico's National Institute of Genomic Medicine (INMEGEN), which genotyped 104 samples, reported that mestizo Mexicans are 58.96% European, 35.05% "Asian" (primarily Amerindian), and 5.03% Other. Of the six states that participated in the Study, the state of Sonora showed the highest European ancestry being approximately 70% while the State of Guerrero presented the lowest European ancestry, at around 50%. According to a 2009 report by the Mexican Genome Project, which sampled 300 Mexicans who self-identified as Mestizos from six Mexican states and one indigenous group, the gene pool of the Mexicans population was calculated to be 55.2% percent indigenous, 41.8% European, 1.0% African, and 1.2% Asian. 70,2%-46,2% Amerindian; 25,4%-48,7% European; 5,2%-2,8% African (Martínez-Cortés et al., 2017). 56,0% Amerindian; 37,0% European; 5,0% African (Ruiz-Linares et al., 2014). An autosomal study performed in Mestizos from Mexico's three largest cities reported that Mestizos from Mexico city had an average ancestry of 50% European, 1% African and 49% Amerindian whereas Mestizos from the cities of Monterrey and Guadalajara had both a European ancestry of 60% and an indigenous ancestry of 40% in average. An autosomal study performed in Mexicans from the states of Nuevo Leon, Zacatecas and San Luis Potosi found the average indigenous ancestry to be 22% while 78% of the genetic ancestry was of Spanish/European origin. An autosomal study performed in Mexico City reported that Mexican mestizos' mean ancestry was 57% European, 40% Amerindian and 3% African. Additional studies suggests a tendency relating a higher European admixture with a higher socioeconomic status and a higher Amerindian ancestry with a lower socioeconomic status: a study made exclusively on low income Mestizos residing in Mexico City found the mean admixture to be 0.590, 0.348, and 0.062 for Amerindian, European and African respectively whereas the European admixture increased to an average of around 70% on mestizos belonging to a higher socioeconomical level. An autosomal genetic study which included the states of Mexico, Morelos, Puebla, Queretaro and Mexico City determined the average ancestry of the central region of Mexico to be 52% European 39% Amerindian, and 9% African. An autosomal genetic study performed in the town of Metztitlan in the state of Hidalgo reported that the average genetic ancestry of the town's autochthonous (indigenous) population was 64% Amerindian, 25% European and 11% African. A 2012 study published by the Journal of Human Genetics Y chromosomes found the deep paternal ancestry of the Mexican mestizo population to be predominately European (64.9%), followed by Amerindian (30.8%) and Asian(1.2%). The European Y chromosome was more prevalent in the north and west (66.7-95%) and Native American ancestry increased in the center and southeast (37-50%), the African ancestry was low and relatively homogeneous (0-8.8%). The states that participated in this study where Aguascalientes, Chiapas, Chihuahua, Durango, Guerrero, Jalisco, Oaxaca, Sinaloa, Veracruz and Yucatán. The largest amount of chromosomes found were identified as belonging to the haplogroups from Western Europe, East Europe and Eurasia, Siberia and the Americas and Northern Europe with relatively smaller traces of haplogroups from Central Asia, South-east Asia, South-central Asia, Western Asia, The Caucasus, North Africa, Near East, East Asia, North-east Asia, South-west Asia and the Middle East. 56,0% Amerindian; 38% European; 6% African for northeast de México (Martínez-Fierro et al., 2009). 61,0% Amerindian; 37,0% European; 2,0% African for Ciudad de México (Kosoy et al., 2009). 65,0% Amerindian; 30,0% European; 5,0% African for Ciudad de México. Albeit not as numerous or with a history as long as genetic research in the country, studies regarding the presence of different phenotypical traits (hair color, hair shape, eye color etc.) in Mexicans have been made. Those studies have recently gained the attention of Mexico's government which has begun conducting its own nationwide investigations, with the aim of document dynamics and inequalities on interactions between Mexicans of different ethnicities/races as well as to have a more concise idea of the ethnic composition of the country (a field that has been long neglected at an institutional level in Mexico). The results of these studies effectively refute misconceptions regarding Mexico's population, showing that Mexico is an exceptionally diverse country, where any color or type of trait can be found with ease in any region. Some studies, such as the one published by the American Sociological Association refute misconceptions that are very prevalent even among Mexicans themselves, as it found the differences in the frequencies of phenotypical traits such as blond hair between the population of the Northern regions of Mexico (where this trait has a frequency of 22.3% - 23.9%) and the population of the Central regions of Mexico (with a frequency of 18.9% to 21.3%) are not as pronounced as are commonly thought to be. Per the methodology of the study, the presence of blond hair was required for a Mexican to be classified as white as "unlike skin color, blond hair does not darken with sun exposure" With a similar methodology, other study, made by the Metropolitan Autonomous University of Mexico calculated the frequency of blond hair at 23%, Mexicans with red red-hair were classified as "other". The majority of the samples (approx. 90%) hailed from Mexico City and Southern Mexican states, meaning that Northern and Western regions of Mexico were underrepresented as around 45% of Mexico's population lives there. Results of the survey conducted by the CONAPRED in 2010. Nationwide surveys sponsored by the Mexican government that quantify the percentage of the different skin tones present on Mexico's population have been made, the first in 2010 by the CONAPRED (Mexico's National Bureau for Prevention of Discrimination) and the second in 2017 by the INEGI (Mexico's National Institute of Statistics) Each study used a different color palette, in the case of CONAPRED's study it was a palette with 9 color choices developed by the institute itself whereas in the case of the INEGI study the palette used was the palette for the PERLA (Latin American Race and Ethnicity Project) with 11 color categories. As the progression from the darker tones to the lightest ones is not as uniform in the palette used by the INEGI (some tones are practically the same while there are marked differences between others) as it is in the CONAPRED's palette, two color categories ended up containing nearly 70% of surveyed Mexicans whereas there were color categories that had less than 1% of Mexicans each. Even though Mexico's government has downplayed the racial connotations of said studies by opting for using the term "light-skinned Mexican" to refer to the segment of Mexico's population who possess European physical traits/appearance and "dark-skinned Mexican" to refer the segment of Mexico's population who does not, the publication of said studies hasn't been free of controversy, specially in the case of the study published in 2017 as besides skin color it also accounted for different socioeconomic factors such as educational achievements and occupational profiles, with media outlets bringing to Mexico's mainstream opinion circles concepts such as systemic racism, white privilege, and colonialism. Nonetheless it is agreed that to acknowledge that Mexico is a diverse country constitutes a steep in the right direction to fight social inequalities. In 2018, the new edition of the ENADIS was published, this time being a joint effort by the CONAPRED and the INEGI with collaboration of the UNAM, the CONACyT and the CNDH. Like its 2010 antecesor, it surveyed Mexican citizens about topics related to discrimination and collected data related to phenotype and ethnic self-identification. It concluded that Mexico is still a fairly conservative country regarding minority groups such as religious minorities, ethnic minorities, foreigners, members of the LGBT collective etc. albeit there's pronounced regional differences, with states in the south-center regions of Mexico having in general notoriously higher discrimination rates towards the aforementioned social groups than the ones states in the western-north regions have. For the collecting of data related to skin color the palette used was again the PERLA one. This time 11% of Mexicans were reported to have "dark skin tones (A-E)" 59% to have "medium skin tones (F-G)" and 29% to have "ligh skin tones (H-K)". The reason for the huge difference regarding the reported percentages of Mexicans with light skin (around 18% lower) and medium skin (around 16% higher) in the relation to previous nationwide surveys lies in the fact that the ENADIS 2017 prioritized the surveying of Mexicans from "vulnerable groups" which among other measures meant that states with known high numbers of people from said groups surveyed more people. A study performed in hospitals of Mexico City reported that in average 51.8% of Mexican newborns presented the congenital skin birthmark known as the Mongolian spot whilst it was absent in 48.2% of the analyzed babies. The Mongolian spot appears with a very high frequency (85-95%) in Asian, Native American and African children. The skin lesion reportedly almost always appears on South American and Mexican children who are racially Mestizos while having a very low frequency (5-10%) in Caucasian children. According to the Mexican Social Security Institute (shortened as IMSS) nationwide, around half of Mexican babies have the Mongolian spot. 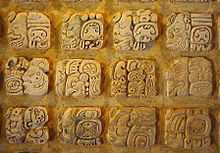 Mexico is home to some of the world's oldest writing systems such as Maya script. Maya writing uses logograms complemented by a set of alphabetical or syllabic glyphs and characters, similar in function to modern Japanese writing. Mexicans are linguistically diverse, with many speaking European languages as well as various Indigenous Mexican Languages. Spanish is spoken by approximately 92.17% of Mexicans as their first language making them the largest Spanish speaking group in the world followed by Colombia (45,273,925), Spain (41,063,259) and Argentina (40,134,425). Although the great majority speak Spanish de facto the second most populous language among Mexicans is English due to the regional proximity of the United States which calls for a bilingual relationship in order to conduct business and trade as well as the migration of Mexicans into that country who adopt it as a second language. Mexican Spanish is distinct in dialect, tone and syntax to the Peninsular Spanish spoken in Spain. It contains a large amount of loan words from indigenous languages, mostly from the Nahuatl language such as: "chocolate", "tomate", "mezquite", "chile", and "coyote". 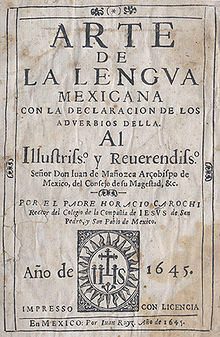 Mexico has no official de jure language, but as of 2003 it recognizes 68 indigenous Amerindian languages as "national languages" along with Spanish which are protected under Mexican National law giving indigenous peoples the entitlement to request public services and documents in their native languages. The law also includes other Amerindian languages regardless of origin, that is, it includes the Amerindian languages of other ethnic groups that are non-native to the Mexican national territory. As such, Mexico's National Commission for the Development of Indigenous Peoples recognizes the language of the Kickapoo who immigrated from the United States, and recognizes the languages of Guatemalan Amerindian refugees. The most numerous indigenous language spoken by Mexicans is Nahuatl which is spoken by 1.7% of the population in Mexico over the age of 5. Approximately 6,044,547 Mexicans (5.4%) speak an indigenous language according to the 2000 Census in Mexico. There are also Mexicans living abroad which speak indigenous languages mostly in the United States but their number is unknown. The literature of Mexico has its antecedents in the literatures of the indigenous settlements of Mesoamerica. The most well known prehispanic poet is Nezahualcoyotl. Modern Mexican literature was influenced by the concepts of the Spanish colonialization of Mesoamerica. Outstanding writers and poets from the Spanish period include Juan Ruiz de Alarcón and Juana Inés de la Cruz. Mexican society enjoys a vast array of music genres, showing the diversity of Mexican culture. Traditional music includes Mariachi, Banda, Norteño, Ranchera and Corridos; on an everyday basis most Mexicans listen to contemporary music such as pop, rock, etc. in both English and Spanish. Mexico has the largest media industry in Hispanic America, producing Mexican artists who are famous in Central and South America and parts of Europe, especially Spain. Some well-known Mexican singers are Thalía, Luis Miguel, Alejandro Fernández, Julieta Venegas and Paulina Rubio. Mexican singers of traditional music are Lila Downs, Susana Harp, Jaramar, GEO Meneses and Alejandra Robles. Popular groups are Café Tacuba, Molotov and Maná, among others. Since the early years of the 2000s (decade), Mexican rock has seen widespread growth both domestically and internationally. Mexican films from the Golden Age in the 1940s and 1950s are the greatest examples of Hispanic American cinema, with a huge industry comparable to the Hollywood of those years. Mexican films were exported and exhibited in all of Hispanic America and Europe. Maria Candelaria (1944) by Emilio Fernández, was one of the first films awarded a Palme d'Or at the Cannes Film Festival in 1946, the first time the event was held after World War II. The famous Spanish-born director Luis Buñuel realized in Mexico, between 1947 and 1965 some of his master pieces like Los Olvidados (1949), Viridiana (1961) and El angel exterminador (1963). Famous actors and actresses from this period include María Félix, Pedro Infante, Dolores del Río, Jorge Negrete and the comedian Cantinflas. More recently, films such as Como agua para chocolate (1992), Cronos (1993), Y tu mamá también (2001), and Pan's Labyrinth (2006) have been successful in creating universal stories about contemporary subjects, and were internationally recognised, as in the prestigious Cannes Film Festival. Mexican directors Alejandro González Iñárritu (Amores perros, Babel, Birdman), Alfonso Cuarón (Children of Men, Harry Potter and the Prisoner of Azkaban, Gravity), Guillermo del Toro (Pacific Rim), Carlos Carrera (The Crime of Father Amaro), and screenwriter Guillermo Arriaga are some of the most known present-day film makers. Post-revolutionary art in Mexico had its expression in the works of renowned artists such as Frida Kahlo, Diego Rivera, José Clemente Orozco, Rufino Tamayo, Federico Cantú Garza, David Alfaro Siqueiros and Juan O'Gorman. Diego Rivera, the most well-known figure of Mexican muralism, painted the Man at the Crossroads at the Rockefeller Center in New York City, a huge mural that was destroyed the next year because of the inclusion of a portrait of Russian communist leader Lenin. Some of Rivera's murals are displayed at the Mexican National Palace and the Palace of Fine Arts. For the artistic relevance of many of Mexico's architectural structures, including entire sections of prehispanic and colonial cities, have been designated World Heritage. The country has the first place in number of sites declared World Heritage Site by UNESCO in the Americas. Mexico has no official religion, and the Constitution of 1917 imposed limitations on the church and sometimes codified state intrusion into church matters. The government does not provide financial contributions to the church, nor does the church participate in public education. However, Christmas is a national holiday and every year during Easter and Christmas all schools in Mexico, public and private, send their students on vacation. In 1992, Mexico lifted almost all restrictions on the religions, including granting all religious groups legal status, conceding them limited property, and lifting restrictions on the number of priests in the country. Until recently, priests did not have the right to vote, and even now they cannot be elected to public office. The Catholic Church is the dominant religion in Mexico, with about 82.7% of the population as of 2010. In recent decades the number of Catholics has been declining, due to the growth of other Christian denominations (especially various Protestant churches and Mormonism), which now constitute 9.7% of the population, and non-Christian religions. Despite this, conversion to non-Catholic denominations has been considerably slower than in Guatemala, Honduras, and El Salvador. Movements of return and revival of the indigenous Mesoamerican religions (Mexicayotl, Toltecayotl) have also appeared in recent decades. Islam and Buddhism have both made limited inroads, through immigration and conversion. Gómez M., et al. Historia de México: Texto de Consulta Para Educación Media Superior. Mexico: Limusa, 2006. Moot Rodriguez, Modern History of Mexico, Universidad de Chan, Mexico, 2002. Knight, Alan. 1990. "Racism, Revolution and indigenismo: Mexico 1910–1940". Chapter 4 in The Idea of Race in Latin America, 1870–1940. Richard Graham (ed.) pp. 71–113. Wade, Peter. 1997. Race and Ethnicity in Latin America. Pluto Press. Bartolomé, Miguel Alberto. (1996) "Pluralismo cultural y redefinicion del estado en México". in Coloquio sobre derechos indígenas, Oaxaca, IOC. Friedlander, Judith. 1975. Being Indian in Hueyapan: A Study of Forced Identity in Contemporary Mexico. New York: Saint Martin's Press. ^ a b "Principales resultados de la Encuesta Intercensal 2015 Estados Unidos Mexicanos" (PDF). INEGI. p. 1. Archived from the original (PDF) on 10 December 2015. Retrieved 9 December 2015. ^ a b c d e f g h i j "Mexicanos en el Mundo". Instituto de los Mexicanos en el Exterior (IME). Archived from the original on 4 March 2016. Retrieved 18 March 2016. ^ "Anzahl der Ausländer in Deutschland nach Herkunftsland". De.statista.com. 31 December 2014. Retrieved 14 January 2018. ^ "Bolivia - Censo de Población y Vivienda 2001". Archived from the original on 14 October 2008. ^ "Mexicans seek sanctuary in Australia". Sydney Morning Herald. 12 February 2011. ^ "World Migration". International Organization for Migration. 2017. Retrieved 29 November 2018. ^ "Ecuador Inmediato". Ecuador Inmediato. 2017. Retrieved 29 November 2018. ^ "North America :: MEXICO". CIA The World Factbook. ^ US Census Bureau 2016 American Community Survey B03001 1-Year Estimates HISPANIC OR LATINO ORIGIN BY SPECIFIC ORIGIN retrieved 14 September 2017. ^ "Tenochtitlán, la capital azteca". www.historiang.com. Archived from the original on 19 September 2010. Retrieved 8 April 2011. ^ a b c d e f "Encuesta Intercensal 2015", "INEGI", Mexico, December 2015. Retrieved on 28 April 2017. ^ "Página no encontrada" (PDF). Archived from the original (PDF) on 4 March 2016. Retrieved 12 December 2015. ^ "Página no encontrada" (PDF). Archived from the original (PDF) on 10 December 2015. Retrieved 8 December 2015. ^ "Los mexicanos en Estados Unidos: La importancia de sus contribuciones" (PDF). Secretaría de Relaciones Exteriores. Retrieved 31 May 2015. ^ Aguilar-Moreno, Manuel (2006). Handbook to Life in the Aztec World. Facts of Life. p. 19. ISBN 978-0-8160-5673-6. ^ a b "Nombre del Estado de México" (in Spanish). Government of the State of Mexico. Archived from the original on 27 April 2007. Retrieved 3 October 2007. ^ "Composición Étnica de las Tres Áreas Culturales del Continente Americano al Comienzo del Siglo XXI" (PDF). Academic investigation (in Spanish). university of the State of Mexico. 2005. Archived from the original (PDF) on 22 October 2013. Retrieved 10 June 2014. ^ Bartolomé, Miguel Alberto (1996). "Pluralismo cultural y redefinicion del estado en México". in Coloquio sobre derechos indígenas" (PDF). Oaxaca: IOC. p. 2. En primer lugar cabe destacar que en México la pertenencia racial no es un indicador relevante ni suficiente para denotar una adscripción étnica específica. [...] Por lo tanto es relativamente factible realizar el llamado tránsito étnico, es decir que un indígena puede llegar a incorporarse al sector mestizo a través de la renuncia a su cultura tradicional y si sus condiciones materiales se lo permiten. ^ Knight, Alan (1 September 2010). "The Idea of Race in Latin America, 1870–1940". In Richard Graham (ed.). The Idea of Race in Latin America: 1870-1940. University of Texas Press. p. 73. ISBN 978-0-292-78888-6. Retrieved 17 July 2013. ^ Wade, Peter (20 May 1997). Race And Ethnicity In Latin America. Pluto Press. ISBN 978-0-7453-0987-3. Retrieved 17 July 2013. ^ en el año de 1808 aproximadamente el 60% de la población de lo que sería México pertenecía a la categoría étnica de indígena, el 18% eran europeos o de origen europeo (de los cuales la inmensa mayoría eran criollos nacidos en México) Archived 23 August 2013 at the Wayback Machine. ^ "Ser mestizo en la nueva España a fines del siglo XVIII. Acatzingo, 1792", Scielo, Jujuy, November 2000. Retrieved on 1 July 2017. ^ "Encyclopedia Britannica: Mexico Ethnic groups". ^ Federico Navarrete (2016). Mexico Racista. Penguin Random house Grupo Editorial Mexico. p. 86. ISBN 9786073143646. Retrieved 23 February 2018. ^ a b "Racismo y salud mental en estudiantes universitarios en la Ciudad de México", Scielo, Cuernavaca, April–March 2011. Retrieved on 28 April 2017. ^ a b "Stratification by Skin Color in Contemporary Mexico", SAGE Journals, Retrieved on 27 January 2018. ^ a b "Admixture in Latin America: Geographic Structure, Phenotypic Diversity and Self-Perception of Ancestry Based on 7,342 Individuals" table 1, Plosgenetics, 25 September 2014. Retrieved on 9 May 2017. ^ "21 de Marzo: Día Internacional de la Eliminación de la Discriminación Racial" [March 21: International Day for the Elimination of Racial Discrimination] (PDF) (in Spanish). Mexico: CONAPRED. 2017. p. 7. Retrieved 23 August 2017. ^ a b c "Encuesta Nacional Sobre Discriminación en Mexico", "CONAPRED", Mexico DF, June 2011. Retrieved on 28 April 2017. ^ a b " Visión INEGI 2021 Dr. Julio Santaella Castell"[permanent dead link], INEGI, 03 July 2017, Retrieved on 30 April 2018. ^ a b c d "Encuesta Nacional sobre Discriminación 2017", CNDH, 6 August 2018, Retrieved on 10 August 2018. ^ a b "Encuesta Nacional sobre Discriminación 2017. ENADIS. Diseño muestral. 2018", INEGI, 6 August 2018, Retrieved on 10 August 2018. ^ "Comisión Nacional para el Desarrollo de los Pueblos Indígenas – México". Cdi.gob.mx. Retrieved 14 January 2018. ^ "Comisión Nacional para el Desarrollo de los Pueblos Indígenas – México". Archived from the original on 26 September 2007. ^ a b "Indicadores seleccionados sobre la población hablante de lengua indígena, 1950 a 2005". Inegi.gob.mx. Archived from the original on 18 January 2012. Retrieved 10 December 2011. ^ "Síntesis de Resultados" (PDF). Comisión Nacional para el Desarrollo de los Pueblos Indígenas. 2006. Retrieved 22 December 2010. ^ "INEGI: Cada vez más mexicanos hablan una lengua indígena – Nacional – CNNMéxico.com". Mexico.cnn.com. 30 March 2011. Archived from the original on 6 December 2011. Retrieved 10 December 2011. ^ "Comisión Nacional para el Desarrollo de los Pueblos Indígenas. México". Cdi.gob.mx. Retrieved 10 December 2011. ^ "Página no encontrada" (PDF). Archived from the original (PDF) on 9 October 2013. Retrieved 17 July 2013. ^ "Arab Influence in Yucatecan Cuisine – Mexico Culture – Arab Influence in Yucatecan Cuisine, Culture". 16 March 2008. Archived from the original on 16 March 2008. Retrieved 14 January 2018. ^ "Find Local Contractors - Home Remodeling Contractors on Ecnext". goliath.ecnext.com. ^ Leslie Bethell (1984). Leslie Bethell (ed.). The Cambridge History of Latin America. Volume 2 of The Cambridge History of Latin America: Colonial Latin America. I-II (illustrated, reprint ed.). Cambridge University Press. p. 21. ISBN 978-0521245166. ^ Ignacio López-Calvo (2013). The Affinity of the Eye: Writing Nikkei in Peru. Fernando Iwasaki. University of Arizona Press. p. 134. ISBN 978-0816599875. ^ Dirk Hoerder (2002). Cultures in Contact: World Migrations in the Second Millennium. Andrew Gordon, Alexander Keyssar, Daniel James. Duke University Press. p. 200. ISBN 978-0822384076. ^ Frudakis, Tony Nick (2008). Molecular photofitting: predicting ancestry and phenotype using DNA. Elsevier. p. 348. ISBN 978-0-12-088492-6. ^ Bartolomé (1996:2)" fundadores de una "nación mexicana"." ^ "censo General de la Republica Mexicana 1895", "INEGI", Mexico, Retrieved on 24 July 2017. ^ "Consideraciones sobre la población de la Nueva España (1793-1810)" Archived 31 July 2017 at the Wayback Machine, El Colegio de Mexico, Mexico, Retrieved on 24 July 2017. ^ "American Indians in the Federal Decennial Census", Retrieved on 25 July 2017. ^ "El mestizaje es un mito, la identidad cultural sí importa" Istmo, Mexico, Retrieved on 25 July 2017. ^ "Más desindianización que mestizaje. Una relectura de los censos generales de población" Archived 31 July 2017 at the Wayback Machine INAH, Mexico, Retrieved on 25 July 2017. ^ "El impacto del mestizaje en México", "Investigación y Ciencia", Spain, October 2013. Retrieved on 1 June 2017. ^ a b Sosa-Macías, Martha (2006). "CYP2D6Genotype and Phenotype in Amerindians of Tepehuano Origin and Mestizos of Durango, Mexico". The Journal of Clinical Pharmacology. 46 (5): 527–536. doi:10.1177/0091270006287586. PMID 16638736. ^ El mestizaje y las culturas regionales Archived 23 August 2013 at the Wayback Machine. ^ "21 de Marzo Día Internacional de la Eliminación de la Discriminación Racial" pag.7, CONAPRED, Mexico, 21 March. Retrieved on 28 April 2017. ^ "La Música de Guerrero (Del atabal a la flauta, el son y el zapateado)". Gobierno del Estado de Guerrero. Archived from the original on 20 February 2015. Retrieved 20 February 2015. ^ "Panorama de las religiones en México 2010" (PDF) (in Spanish). INEGI. p. 3. Archived from the original (PDF) on 21 October 2015. Retrieved 2 March 2015. ^ "El número de católicos en México v a la baja; aumentan los ateos y de otras religiones", "Animal político", Mexico, February 2016. Retrieved on 3 August 2017. ^ "Mexico cuenta con 123.5 millones de habitantes", Retrieved on 26 July 2017. ^ "El mestizaje en Mexico" (PDF). Enp4.unam.mx. Archived from the original (PDF) on 1 August 2017. Retrieved 14 January 2018. ^ a b Wang, S; Ray, N; Rojas, W; et al. (21 March 2008). "Geographic Patterns of Genome Admixture in Latin American Mestizos". PLOS Genetics. 4 (3): e1000037. doi:10.1371/journal.pgen.1000037. PMC 2265669. PMID 18369456. ^ a b Cite error: The named reference Ruiz-Linares et al, 2014 was invoked but never defined (see the help page). ^ Ruiz-Linares et al, 2014. Admixture in Latin America: Geographic Structure, Phenotypic Diversity and Self-Perception of Ancestry Based on 7,342 Individuals. volumen=11. number=12 editorial=PLOS One Genetics, doi=10.1371/journal.pgen.1004572. ^ Rayna Bailey (2010). Immigration and Migration. Infobase Publishing. p. 93. ISBN 9780816071067. Retrieved 1 June 2017. ^ a b c d Analysis of genomic diversity in Mexican Mestizo populations to develop genomic medicine in Mexico Silva-Zolezzi I, Hidalgo-Miranda A, Estrada-Gil J, Fernandez-Lopez JC, Uribe-Figueroa L, Contreras A, Balam-Ortiz E, del Bosque-Plata L, Velazquez Fernandez D, Lara C, Goya R, Hernandez-Lemus E, Davila C, Barrientos E, March S, Jimenez-Sanchez G. | National Institute of Genomic Medicine| 26 May 2009 "In this model, their mean ancestries (±Standard Deviation) were 0.552 ±0.154 for AMI, 0.418 ±0.155 for EUR, 0.018 ±0.035 for AFR, and 0.012 ±0.018 for EA"
^ "Genoma destapa diferencias de mexicanos". 6 June 2009. ^ Kumar, Satish; Bellis, Claire; Zlojutro, Mark; Melton, Phillip E.; Blangero, John; Curran, Joanne E. (7 October 2011). "Large scale mitochondrial sequencing in Mexican Americans suggests a reappraisal of Native American origins". BMC Evolutionary Biology. 11: 293. doi:10.1186/1471-2148-11-293. PMC 3217880. PMID 21978175. ^ Parra, E. J.; Kittles, R. A.; Shriver, M. D. (26 October 2004). "Implications of correlations between skin color and genetic ancestry for biomedical research". Nat Genet. 36 (11s): S54–S60. doi:10.1038/ng1440. PMID 15508005. ^ a b Buentello-Malo, L; Peñaloza-Espinosa, RI; Salamanca-Gómez, F; Cerda-Flores, RM (2008). "Genetic admixture of eight Mexican indigenous populations: based on five polymarker, HLA-DQA1, ABO, and RH loci". Am J Hum Biol. 20 (6): 647–50. doi:10.1002/ajhb.20747. PMID 18770527. ^ "The Map of the Mexican's Genome": overlapping national identity, and population genomics", Springer, Retrieved on 01 April 2018. ^ "Renin gene haplotype diversity and linkage disequilibrium in two Mexican and one German population samples", Sagepub, Retrieved on 21 February 2018. ^ J.K. Estrada; A. Hidalgo-Miranda; I. Silva-Zolezzi; G. Jimenez-Sanchez. "Evaluation of Ancestry and Linkage Disequilibrium Sharing in Admixed Population in Mexico". ASHG. Retrieved 18 July 2012. ^ Martínez-Cortés, G.; Zúñiga-Castellanos, R.; García-Aceves, M.;Salcido, V.; Cortés-Trujillo, I.; Rangel-Villalobos, H. (2017). Genetic diversity of Mexican-Mestizo populations using 114 INDEL polymorphisms. Forensic Science International: Genetics Supplement Series 6: e423-e425. ^ Lisker, Rubén (27 May 2005). "Racial admixture in a Mestizo population from Mexico City". American Journal of Human Biology. 7 (2): 213–216. doi:10.1002/ajhb.1310070210. PMID 28557218. ^ A Luna-Vazquez (30 June 2005). "STR for 15 Loci in a population Sample from the Central Region of Mexico". Forensic Science International. 151 (1): 97–100. doi:10.1016/j.forsciint.2004.09.080. PMID 15935948. ^ Gorostiza, A; González-Martín, A; Ramírez, CL; Sánchez, C; Barrot, C; Ortega, M; Huguet, E; Corbella, J; Gené, M (2007). "Allele frequencies of the 15 AmpF/Str Identifiler loci in the population of Metztitlán (Estado de Hidalgo), México". Forensic Sci Int. 166 (2–3): 230–2. doi:10.1016/j.forsciint.2005.12.007. PMID 16436322. ^ a b In the total population sample, paternal ancestry was predominately European (64.9%), followed by Native American (30.8%) and African (4.2%). However, the European ancestry was prevalent in the north and west (66.7–95%) and, conversely, Native American ancestry increased in the center and southeast (37–50%), whereas the African ancestry was low and relatively homogeneous (0–8.8%), Journal of Human Genetics. ^ Martínez-Cortés, G; Salazar-Flores, J; Fernández-Rodríguez, LG; Rubi-Castellanos, R; Rodríguez-Loya, C; Velarde-Félix, JS; Muñoz-Valle, JF; Parra-Rojas, I; Rangel-Villalobos, H (2012). "Journal of Human Genetics – Figure 3 for article: Admixture and population structure in Mexican-Mestizos based on paternal lineages". J. Hum. Genet. 57 (9): 568–74. doi:10.1038/jhg.2012.67. PMID 22832385. ^ Martínez-Cortés, G; Salazar-Flores, J; Fernández-Rodríguez, LG; Rubi-Castellanos, R; Rodríguez-Loya, C; Velarde-Félix, JS; Muñoz-Valle, JF; Parra-Rojas, I; Rangel-Villalobos, H (2012). "Journal of Human Genetics – Figure 2 for article: Admixture and population structure in Mexican-Mestizos based on paternal lineages". J. Hum. Genet. 57 (9): 568–74. doi:10.1038/jhg.2012.67. PMID 22832385. ^ Martinez-Fierro ML, Beuten J, Leach RJ, Parra EJ, Cruz-Lopez M, Rangel-Villalobos H, Riego-Ruiz LR, Ortiz-Lopez R, Martinez-Rodriguez HG, Rojas-Martinez A. Ancestry informative markers and admixture proportions in northeastern Mexico. J Hum Genet. 2009;54:504–509. ^ Kosoy R, Nasser R, Tian C, White PA, Butler LM, Silva G, Kittles R, Alarcon-Riquelme ME, Gregersen PK, Belmont JW, et al. Ancestry informative marker sets for determining continental origin and admixture proportions in common populations in America. Hum Mutat. 2009;30:69–78. ^ Martinez-Marignac VL, Valladares A, Cameron E, Chan A, Perera A, Globus-Goldenberg R, Wacher N, Kumate J, McKeigue P, O’Donnell D, et al. Admixture in Mexico City: Implications for admixture mapping of type 2 diabetes genetic risk factors. Hum Genet. 2007;120:807–819. ^ "Admixture in Latin America: Geographic Structure, Phenotypic Diversity and Self-Perception of Ancestry Based on 7,342 Individuals" figure 1, Plosgenetics, 25 September 2014. Retrieved on 9 May 2017. ^ "Encuesta Nacional Sobre Discriminación en Mexico" (PDF). Conapred.org.mx. June 2011. pp. 40–43. Retrieved 28 April 2017. ^ "Presenta INEGI estudio que relaciona color de piel con oportunidades", El Universal, l6 June 2017, Retrieved on 30 April 2018. ^ "Congenital Dermal Melanocytosis (Mongolian Spot): Background, Pathophysiology, Epidemiology". 7 January 2017 – via eMedicine. ^ Encyclopædia Britannica. "Spanish language – Britannica Online Encyclopedia". Britannica.com. Retrieved 26 July 2010. ^ "Spanish population 2009" (PDF). Ine.es. Retrieved 28 October 2010. ^ "Spanish Language History and Main Spanish-Speaking Countries". Todaytranslations.com. Archived from the original on 17 August 2008. Retrieved 26 July 2010. ^ "Constitución Política De Los Estados Unidos Mexicanos" (PDF). Archived from the original (PDF) on 17 July 2011. Retrieved 26 July 2010. ^ "Microsoft Word – 257" (PDF). Archived from the original (PDF) on 11 June 2008. Retrieved 26 July 2010. ^ "Perfil sociodemográfico de la población hablante de náhuatl" (PDF). Retrieved 26 July 2010. ^ "Can a Mother Lose Her Child Because She Doesn't Speak English?". Time. 27 August 2009. Retrieved 12 May 2010. ^ a b Vasconcelos, José (1997). La Raza Cósmica (The Cosmic Race). Didier T. Jaén (trans.). The Johns Hopkins University Press. p. 160. ISBN 978-0-8018-5655-6. ^ "The Nobel Prize in Chemistry 1995". Nobelprize.org. Nobel Foundation. Retrieved 2 January 2009. ^ Thomson, Elizabeth A. (18 October 1995). "Molina wins Nobel Prize for ozone work". Massachusetts Institute of Technology. Retrieved 2 January 2009. ^ [page needed]Unravelling unidentified γ-ray sources with the large millimeter telescope, Alberto Carramiñana and the LMT-GTM collaboration, in The Multi-Messenger Approach to High-Energy Gamma-Ray Sources, Josep M. Paredes, Olaf Reimer, and Diego F. Torres, eds., Springer Netherlands, 2007. ISBN 978-1-4020-6117-2. ^ "Rockefeller Controversy". Diego Rivera Prints. Archived from the original on 11 October 2007. Retrieved 2 October 2007. ^ "Religious diversity is increasing in Mexico - Geo-Mexico, the geography of Mexico". Geo-mexico.com. Retrieved 14 January 2018. ^ "Mexico". International Religious Report. U.S. Department of State. 2003. Retrieved 4 October 2007. ^ "AMOXTLI YAOXOCHIMEH" (PDF). Zotero Citlalcoatl. Retrieved 14 January 2018. ^ Miguel Alberto Bartolomé. "Pluralismo Cultural Y Redefinicion Del Estado En Mexico" (PDF). Courses.cit.cornell.edu. Retrieved 14 January 2018. Navarrete Linares, Federico (2008). Los pueblos indígenas de México (PDF online facsimile). Pueblos Indígenas del México Contemporáneo series (in Spanish). México, D.F. : Comisión Nacional para el Desarrollo de los Pueblos Indígenas. ISBN 978-970-753-157-4. OCLC 319215886.